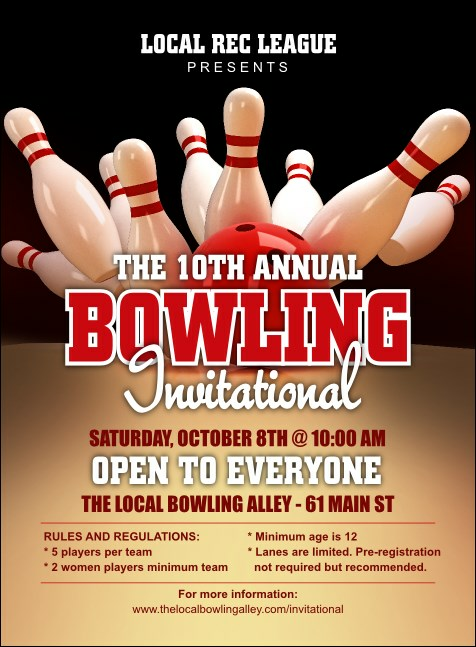 Put your pre-event advertising in the promotional fast lane and let it roll when you print Bowling League Invitations and send them out in advance. This classic Invitation template is perfect for a bowling event with the image of a bright red bowling ball knocking down a line of shiny white pins. TicketPrinting.com helps you score big in the advertising game.